Magnetism is a fundamental force that is essential for life on Earth. 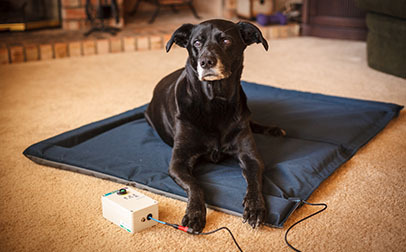 PEMF uses pulsing electromagnetic fields to jumpstart and accelerate normal biological cellular reactions. Very simply, cells contain electrically charged particles called ions that govern all cellular processes. When the body is stressed by illness, competition, environmental factors or age, the cellular membrane that conducts the essential ions in to and out of the cell becomes comprised and is unable to efficiently do its job of managing the transport of these ions. When the PEMF generated by the Respond Systems bed penetrates the body, a magnetic field in motion is created that immediately and positively directly impacts these ions and membrane potential to stimulate them into action. The result is an increase in cellular communication and circulation, a decrease in inflammation and pain and a resulting acceleration of healing. There are no side effects and many times PEMF can be used in place of pharmaceuticals to treat long-term, degenerative conditions. The most effective form of signaling cells is to send a series of magnetic pulses, of the proper frequency and wave form to stimulate cellular action. The Bio-Pulse systems generate a frequency and wave form which was recommended as the most effective by Dr. C.A. Bassett in his landmark work at Columbia University Hospital. Pulsing Magnetic therapy penetrates completely through the joints and muscles. The strength of a magnetic field is directly related to the size and the composition of the magnet, and determines the depth of penetration. When you pulse battery current through the coils of the Respond System Bio-Pulse systems, you are turning each coil of wire into a large, pulsing magnet. You can feel the pulsing up to 12 inches away from the coil by holding a test magnet in your hand.